Folk pop singer-songwriter Kishi Bashi is no stranger to touring and playing shows. While he’s currently on the road playing tunes from his latest September release, Sonderlust, he’s also spent time as a touring violinist for artists such as Regina Spektor and of Montreal. With three full length albums and countless performances in the books, the “Hey Big Star” artist has shown a variety of abilities, from his impeccable violin skills to his skillful beatboxing. His string-centric melodies and dreamy falsetto vocals flow through each song, making his material incredibly easy to appreciate. The "Bright Whites" singer has a special way of striking a cord with his audience, which is just what we experienced when we saw him at Delmar Hall in St. Louis. 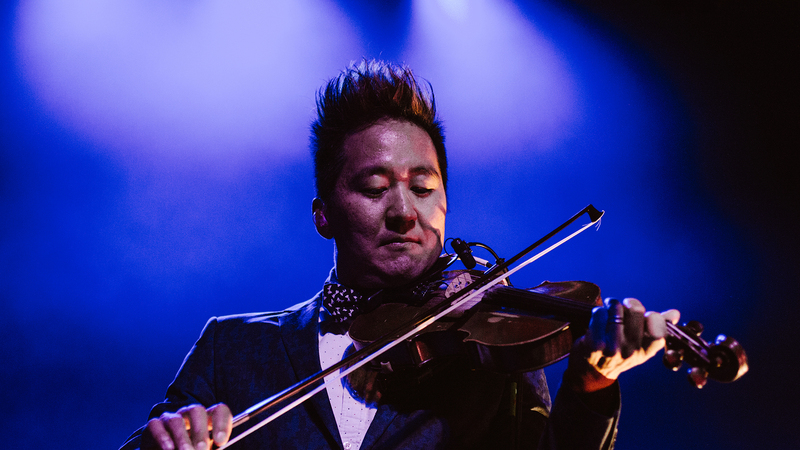 Check out our photos from the show below and don’t forget to track Kishi Bashi on Bandsintown so you don’t miss him in your city.